In this blog I've been referring to platforms and tools which I find engaging and interesting, and especially useful as learning tools. 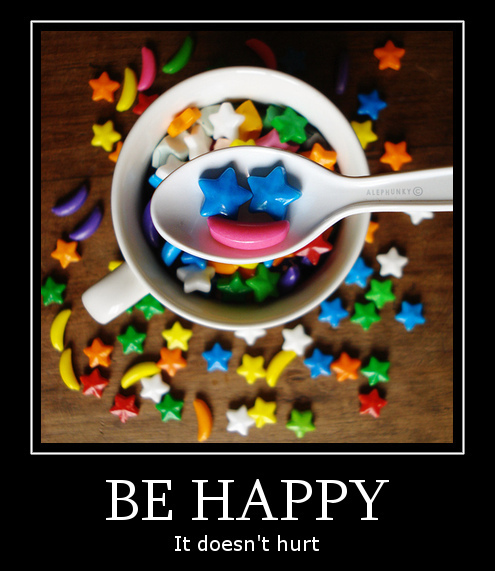 Recently I came across a project called Track Your Happiness. The purpose is to undertake research into people's happiness by studying what factors affect people's happiness in their daily lives. Participants need to be over 18 of age and answer a set of questions which are sent to them everyday. After 50 responses, participants are sent their report on how their happiness varies. There are times when I do wonder whether all the technology that surrounds us today affects our ability to be happy in life. Collaborating, sharing, connecting with others, are important for us to learn but I also believe that as a human being, we also need time to reflect. It is only after quiet periods of self-reflection that one is able to give back to a community, to become a positive and active member of that community once again. As social participants in both off-line and on-line communities, perhaps we need to recapture ourself from the constant fast-paced life and techno-noise that we all regularly experience. In our ever increasing roles, stepping back and reflecting become equally important and essential to our well-being and state of happiness. 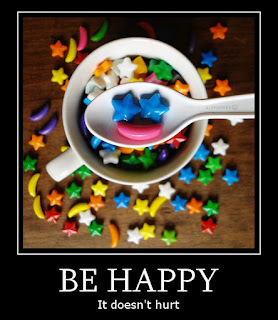 If you do track your happiness, I wish you fulfillment in your discovery of whether you are indeed happy or not. It's not that difficult really. It begins with a smile. 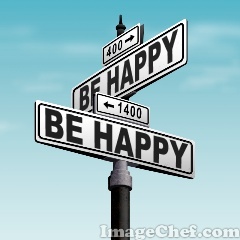 And making the simple choice of being happy. Do you think that technology has made us happier today compared to the past? Can you imagine life without sound? Without music? I can't even begin imagining what it would be like to live in a soundless world as music has been such a great part of my life. That is why I would like to suggest ways of making and sharing music, as well as learning with music. UJAM is a platform which lets you sing a song and produce it, just as you want it to be. 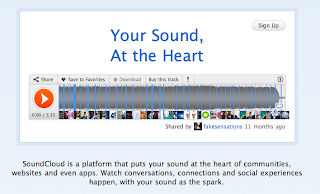 You can compose, produce and publish your music, then share with your friends. I enclose a short video here below for you to see how easy it is to begin using UJAM. 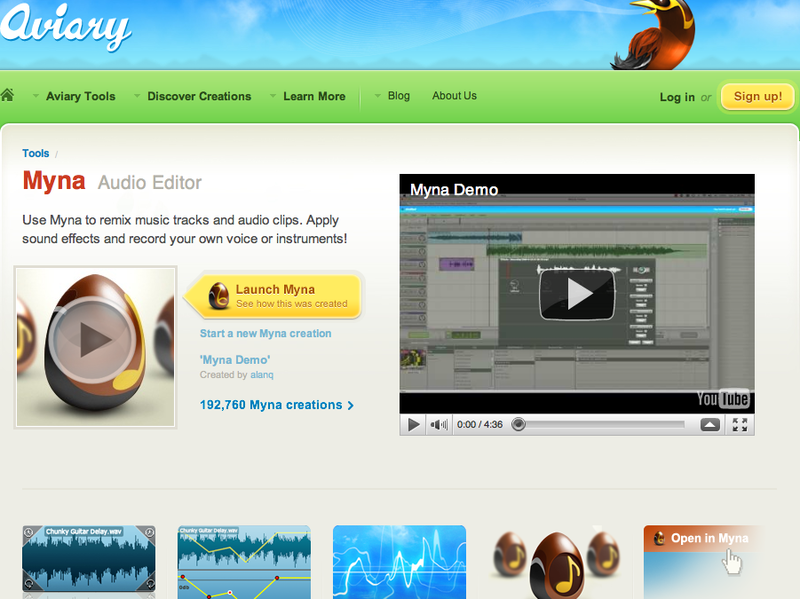 Another cool site for producing musical tracks is Myna. Myna is part of the free online Aviary tools and is easy to use as well. Myna also offers a tutorial page as well as FAQ for those who want to try out their musical skills. Once you have created your tunes, you can turn to SoundCloud - a platform which shares your music with whoever you want to online. Another feature is that SoundCloud includes over 100 Apps which can be used with SoundCloud. 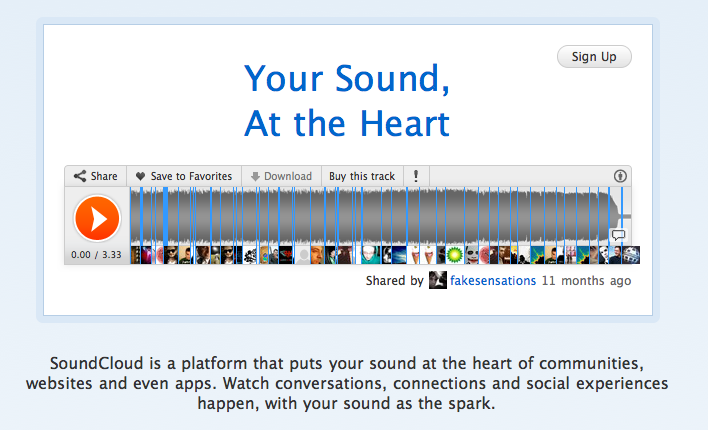 You can also explore other's music and share music under Creative Commons. SoundCloud creates wave visuals which are fun to share and also provides users with a forum to post questions and other forms of collaboration. Then there are times when listening to music actually helps us learn languages. With lyrics training, look for songs that you like and learn how to sing along with their lyrics - couldn't be easier, could it? Music and colours are very much part of my life and yours. 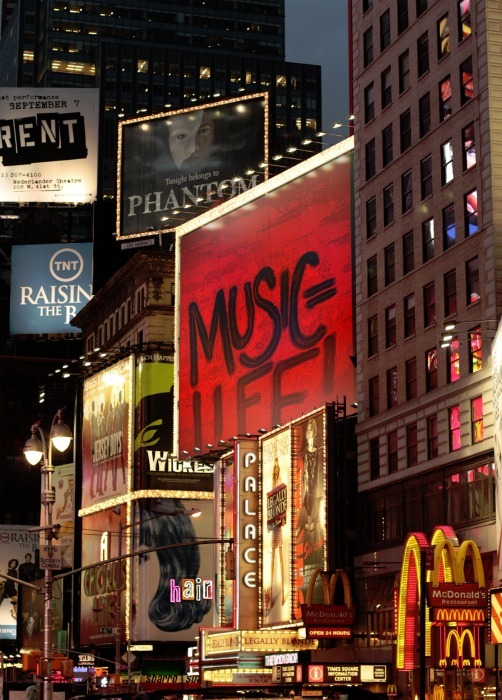 Adding musical tracks to your projects is a great way to also add value and share your talents with others. Give it a try - express yourself with music! With so much information constantly being thrown at us, Dipity is cool tool to organise events and to create a visual timeline where these events are easy to follow and understand. With Dipity, you can collect data from all over the internet and organise them in a chronological order, including your choices of text, images, audio and video. 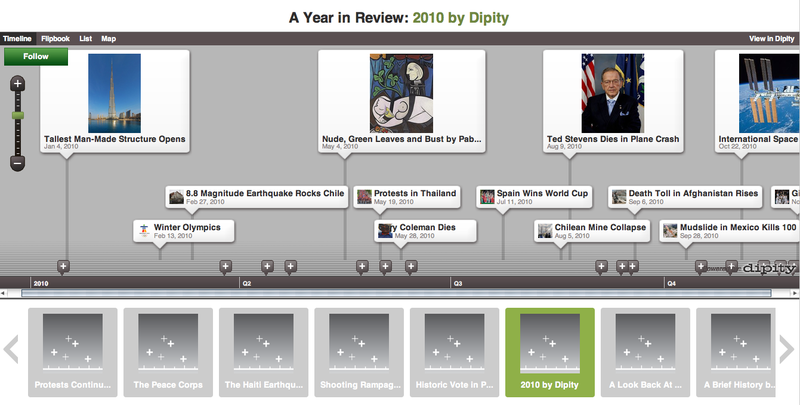 Events don't need to be current; you can use Dipity to create historic timelines as well. 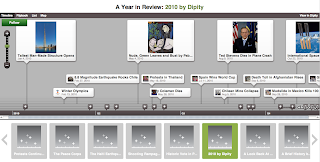 Another possible project is to use Dipity to explain the timeline of a natural disaster, its consequences and what was done to help those involved. Of course, however you use Dipity, it is a great way to explore the past, present and even make predictions for the future. Here you can find Dipity's FAQ and below I enclose a short video on how to get started with Dipity. What time lines will you be creating? Can you recognise this mythical creature? Do you know where it lives? 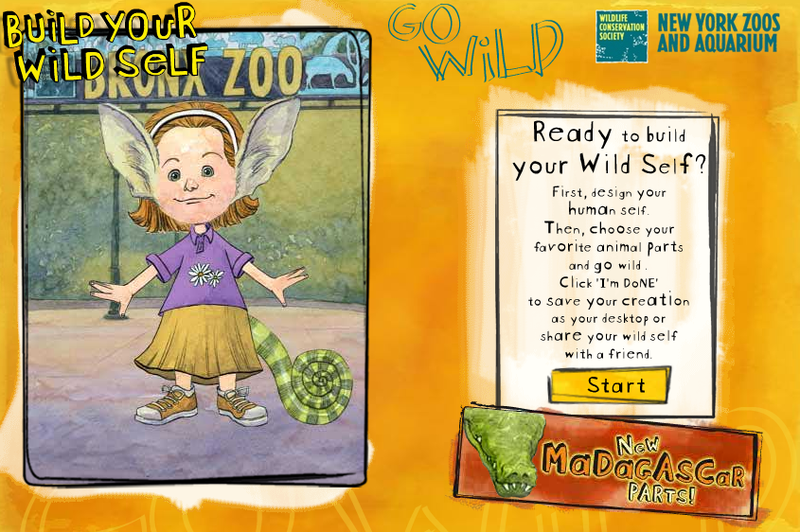 Visit Build Your Wild Self, a cool site where you can create hybrids and mythical creatures as well as visit the New York Zoos and Aquarium. 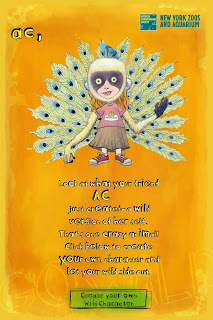 Build Your Wild Self is easy to use, and once you have created your wild self, you just send it to your email address and download the image. 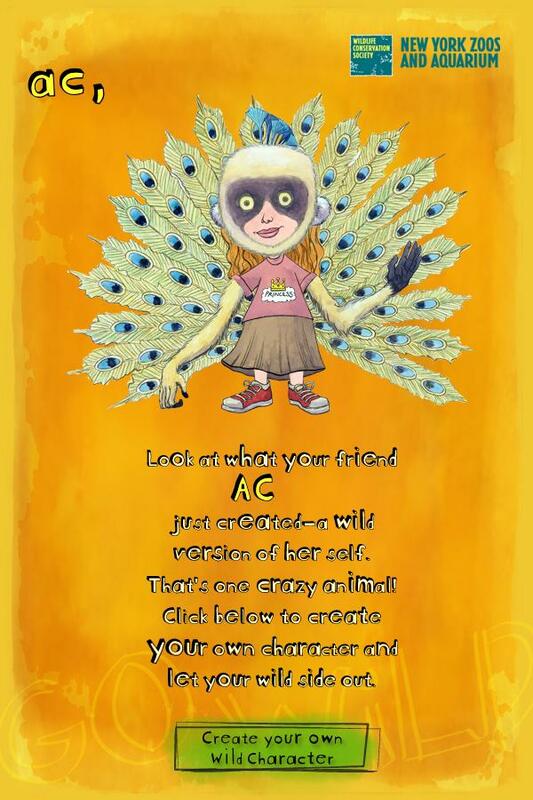 You can share your wild self with friends, describing your hybrid self for them to guess which animal parts your are referring to. Together you can create an environment where your wild selves would live. The New York Zoos and Aquarium brings you up-to-date about wildlife and their well-being, as well as offering multimedia for you to explore. There are podcasts, videos and slideshows which all teach us more about wild-life kept in zoos and aquariums. 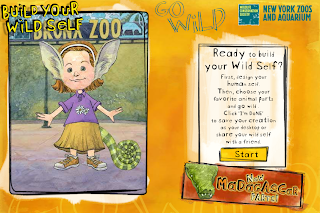 Two other great sites for young learners are e-Learning for Kids and Primary Games Arena. 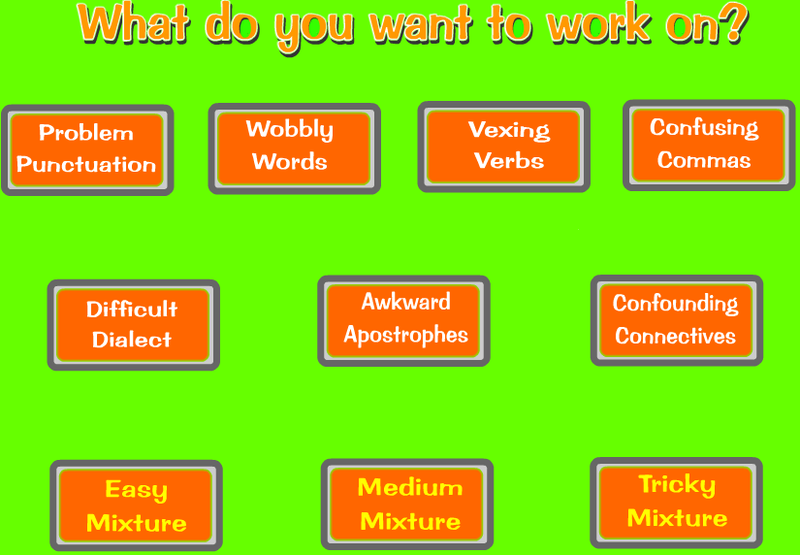 Both have a range of games and exercises for English as well - just have a look at Sentence Doctor (Primary Games Arena) to see how you can improve your writing. I tend to nourish questions in life. Questions are special. Questions open doors and windows and lead to growth. Yet, where does one begin looking for possible answers? 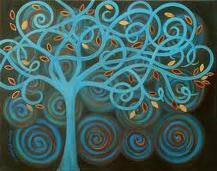 Knowledge can be perceived as a tree, each branch leading on to further fields of inquiry. This is not truly new - already in the Book of Genesis there is reference to the Tree of Knowledge. Knowledge was once hard to come by; it belonged only to a social elite. Today, our world is flatter, with more opportunities for questioning and finding possible answers which contribute to our knowledge of life and the world. Answerbag is one site where you can share your questions and explore others' questions; you can also include your own opinion on a topic and see the results of surveys. 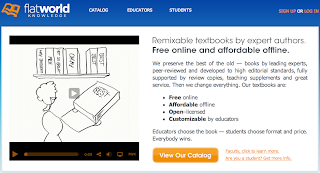 If you are looking for something more in line with your studies, go to Flat World Knowledge, where you can find free books online and affordable texts offline. Perhaps one day you find yourself wondering about what it means to be human and the mysteries of life on our planet. 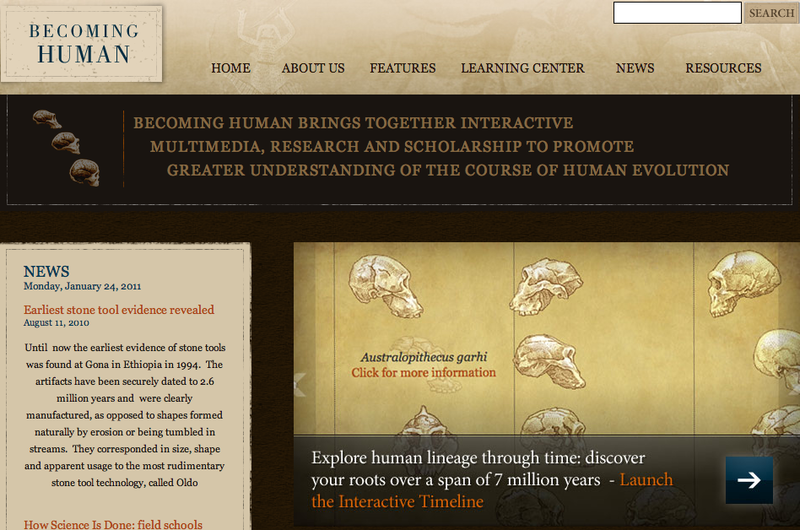 Becoming Human is an excellent site to begin discovering the journey of human evolution. Becoming Human is rich in resources and offers classroom materials as well interactive activities. 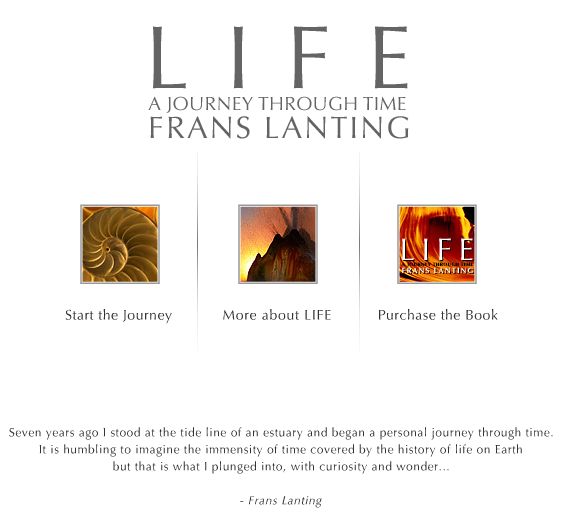 Frans Lanting is one of my favourite wild life photographers, and you can find more of his work here. Life, A Journey Through Time, is a spectacular collection of photographs of our planet. Life, is a lyrical bridge between science and nature, with photography so beautiful that it will encourage you to find beauty where ever you live. STAGE'D is a cool site where you can make comics. All you need to do is to download Unity 3D to your computer and you are ready to begin. Once you have downloaded Unity 3D (which appears immediately after you click on Try It! ), you will see the following map which guides you on the steps you will take to create your animation (as you can see here on the right). 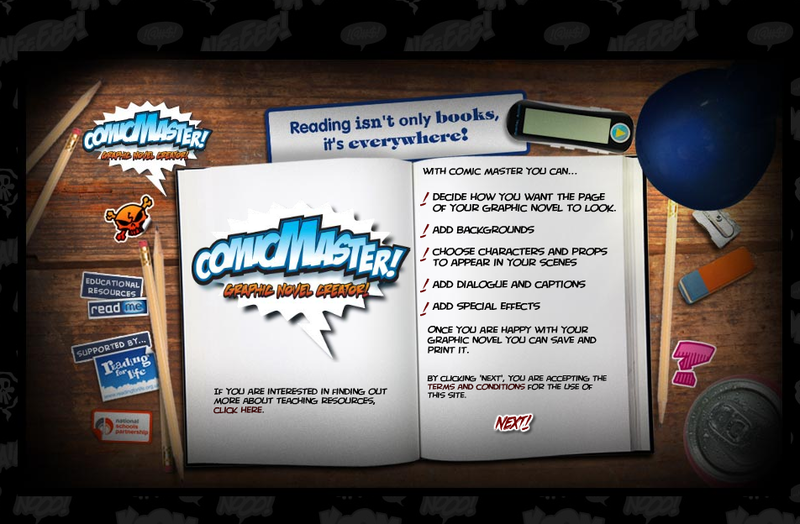 Comic Master is another awesome site where you can create graphic stories and is part of the Read Me website. 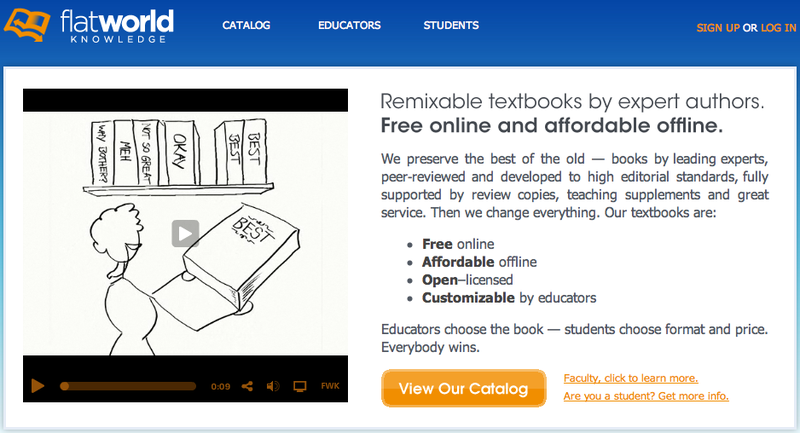 Read Me is an excellent site for both teachers and students - and basically for anyone with an interest in reading skills and learning. Although it announces itself as an engaging site for teenage boys, the resources found here are a a wealth for everyone. 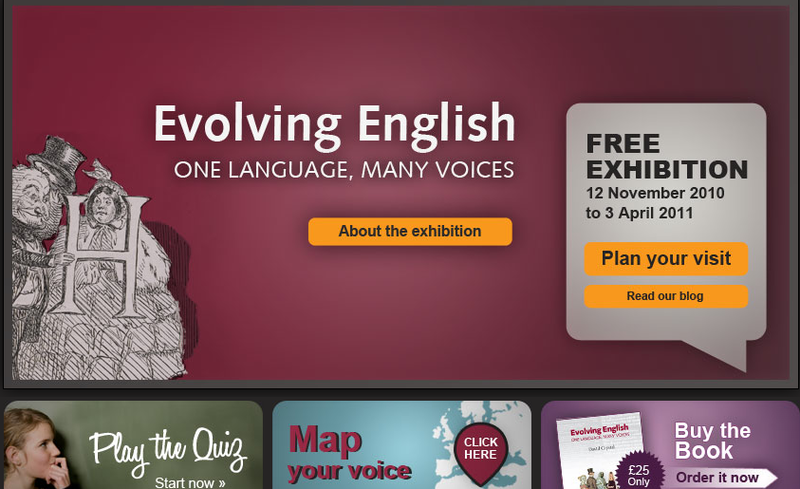 The British Library is hosting a current exhibition (until 3rd April 2011) on Evolving English and is worth your time to visit. Click on Map your Voice where you can add your voice and listen to others. 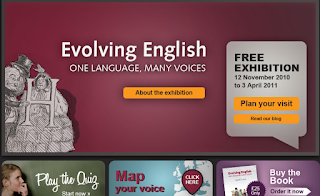 There is quite a lot to explore at The British Library. 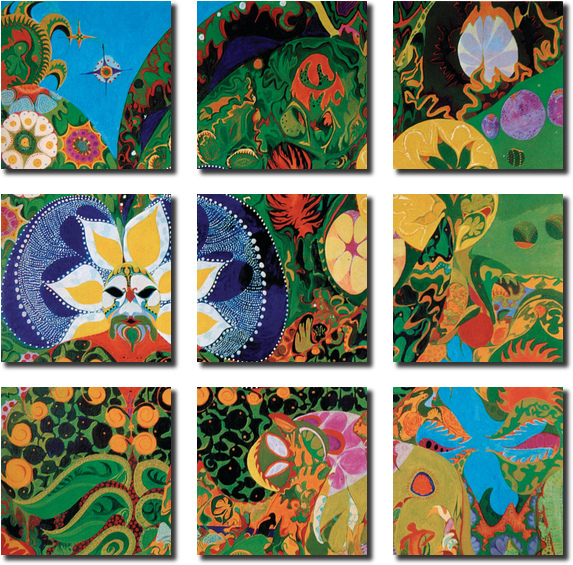 I will leave you with a short video on another current exhibition - Growing Knowledge. 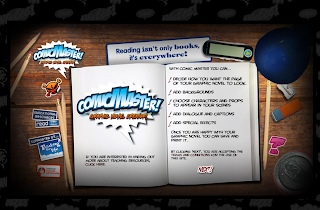 Which cartoon/comic maker have you found the most fun to use? What uses are you going to make of Read Me? Travelling has always been inspirational for me. I take as much pleasure from the experience of travelling as I do from arriving at a destination. Travelling broadens our minds, enriching awareness of our planet and of others. We may not always have the opportunity to travel to places, visit museums nor enjoy the wonders of different cultures, but there are places which we can visit and enjoy. At the click of a key. 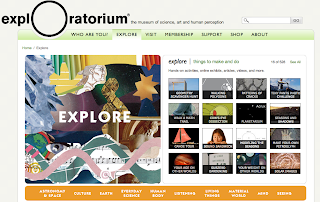 Exploratorium is an online museum of science, art and human perception. 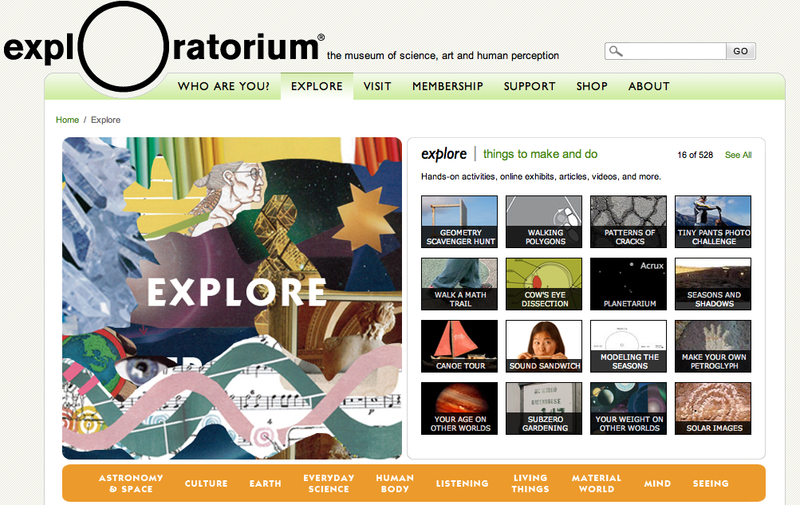 You can find online activities, web-features such as interviews and videos, online exhibits and more. The Computer History Museum is another cool museum to visit online. For those with an interest in computer chess, there is a whole section to explore. And of course, there is Virtual Tours, where you can tour museums as different as the Andy Warhol to a Roman Open Air Museum. 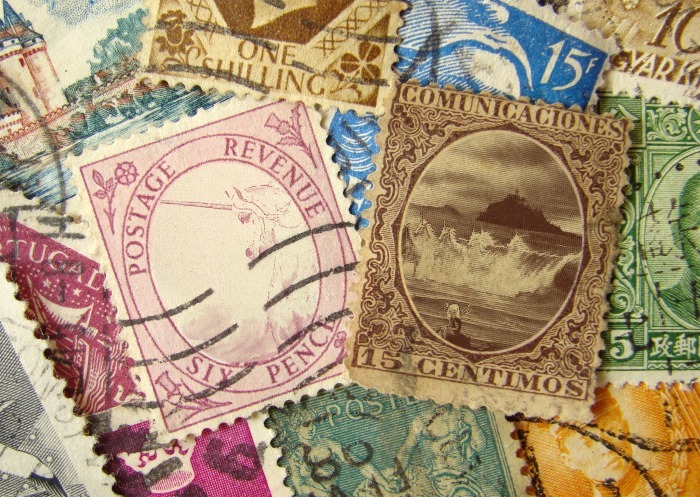 Which museum will you be exploring? Can you add any other museum which has inspired you? When you think about life, you may consider it being made up of little things - events, encounters, that together weave the patterns and rhythms of life. 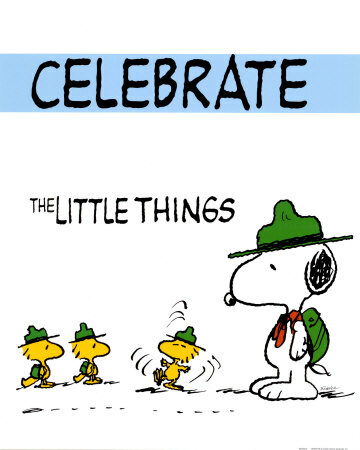 Some events may be more significant than others (for example, a graduation or a wedding), but there are so many other moments which make up your life. Why not celebrate these events and encounters with a movie? Making a PhotoPeach from Parkfield Primary on Vimeo. What stories and events will you be celebrating with PhotoPeach? 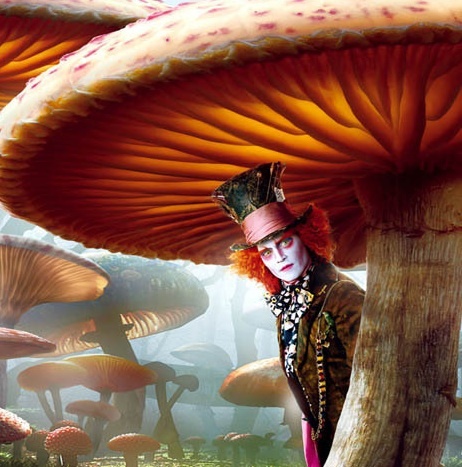 One of my favourite books was Alice in Wonderland. 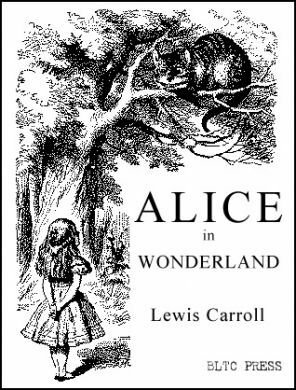 Throughout the years, I have returned to wonderland, re-experiencing Alice's adventures and to enjoy the wonderful use of language. More recently, I watched the movie directed by Tim Burton and once again, delighted in the exceptional play of words and linguistic games. "What's the use of a book, without questions or conversations?" Have you ever felt that way when reading a book? Today, in our age of constant collaboration and participation, there are many ways to engage with questions and conversations about books and stories. There are also different ways to tell stories. Especially digital stories. 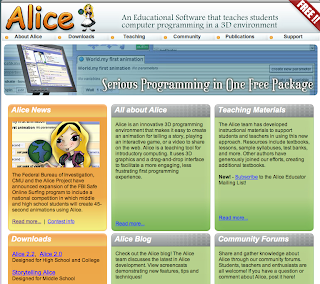 Alice is a free educational tool which teaches students computer programming in a 3D environment. 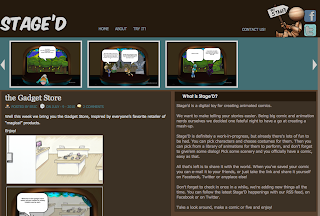 You can create an animation for a story, play interactive games as well as share videos. 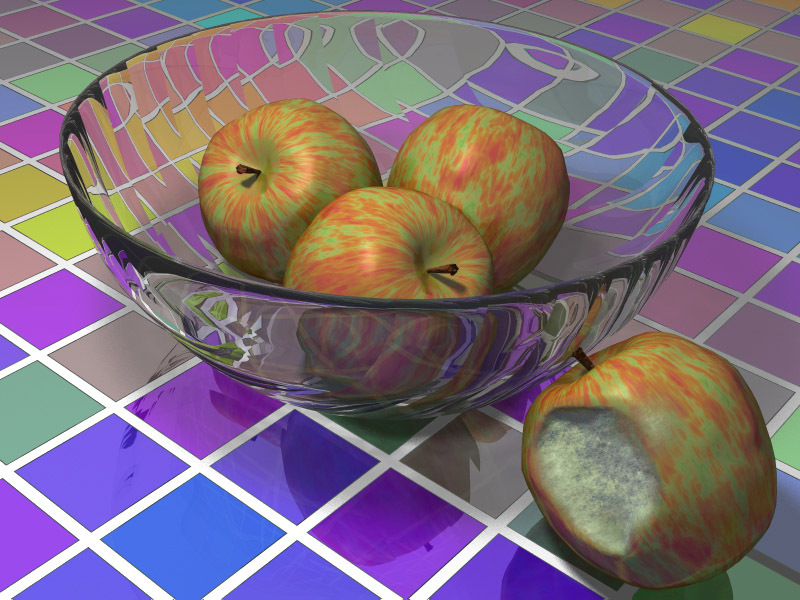 3D graphics and drag & drop features help making this a fun and interesting experience. 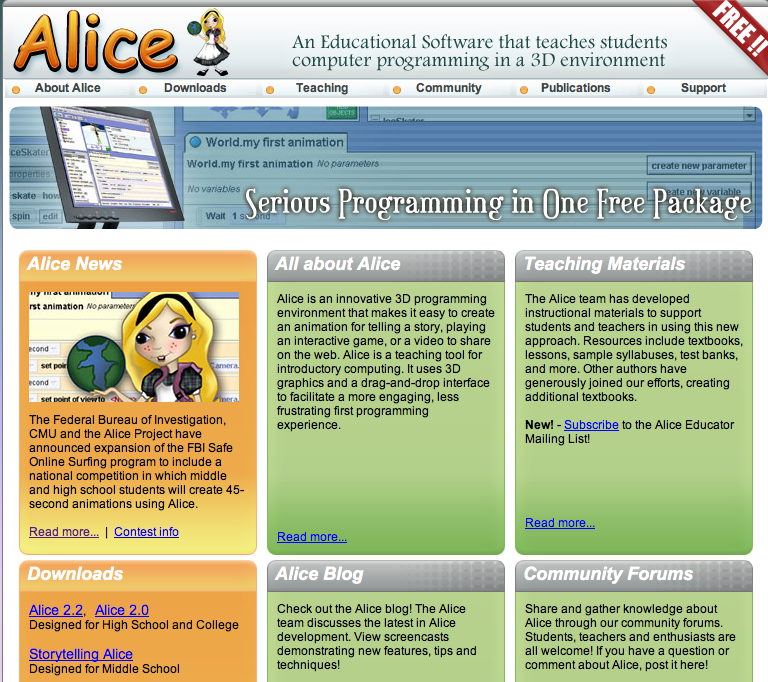 Watch the brief tutorial to introduce you to Alice. If you would like to know more about this programming tool, watch this video from a Google Tech Talk which explains more about Alice. Is this impossible for you? 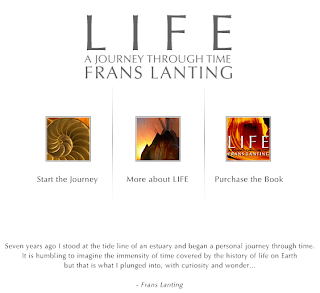 Every culture has its myths and legends.According to Frank Kermode, myths help us endure. Myths, legends, tales of heroic deeds, tales of magical creatures - all stir our imagination and understanding of our worlds. 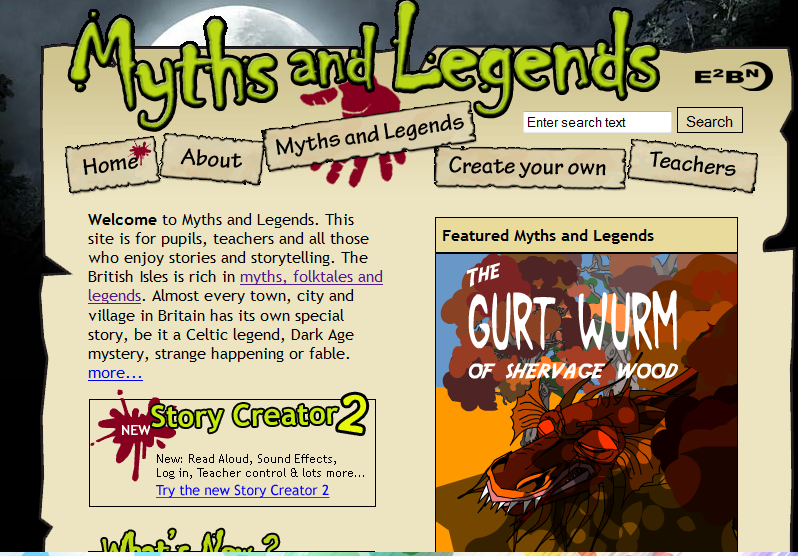 You too can create and add your own myth and legend by using Myths and Legends. 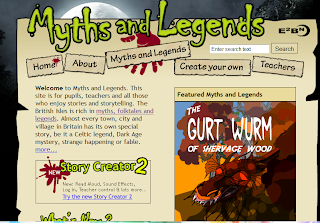 Myths and Legends is a cool site where you can read others' myths/legends and create your own. 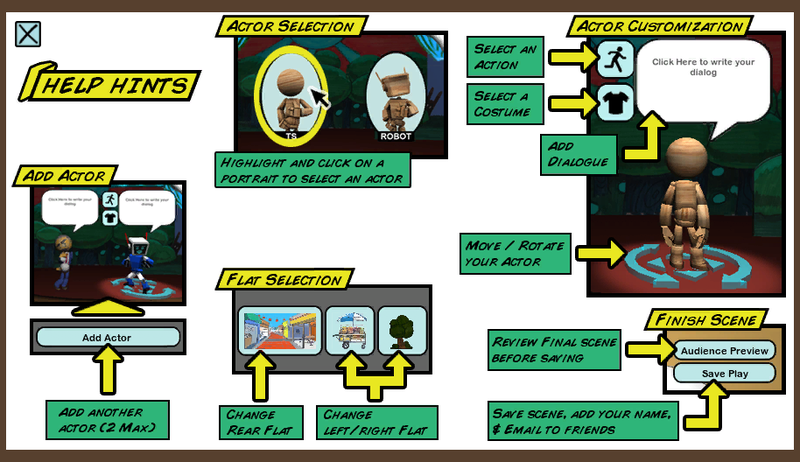 You begin by choosing your setting, then can add text, images and sound. There are myths for everyone, as well as a map of myths. 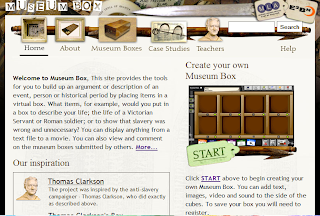 Museum Box is another cool site which can help you in projects. 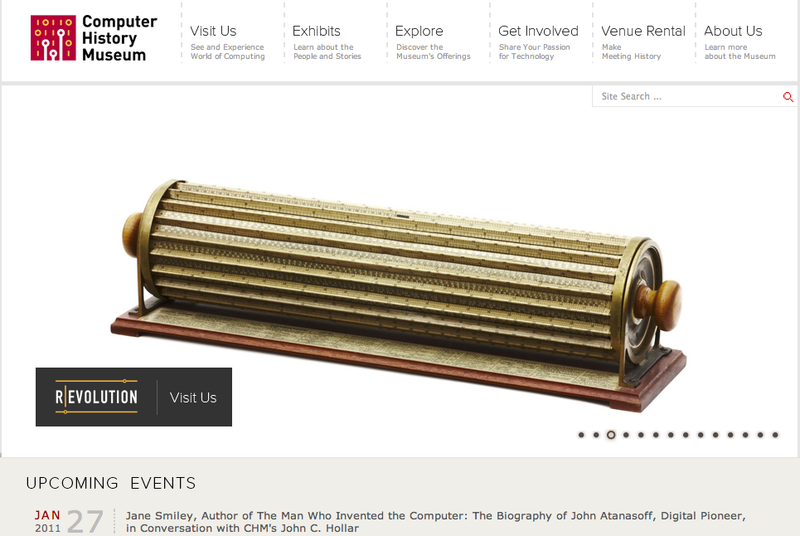 With Museum Box you can add description of an event, a person or historical period by placing items in a virtual box. You can display anything from a text file to a movie.You can view others' boxes and add your comments to their arguments and presentation of their virtual boxes. 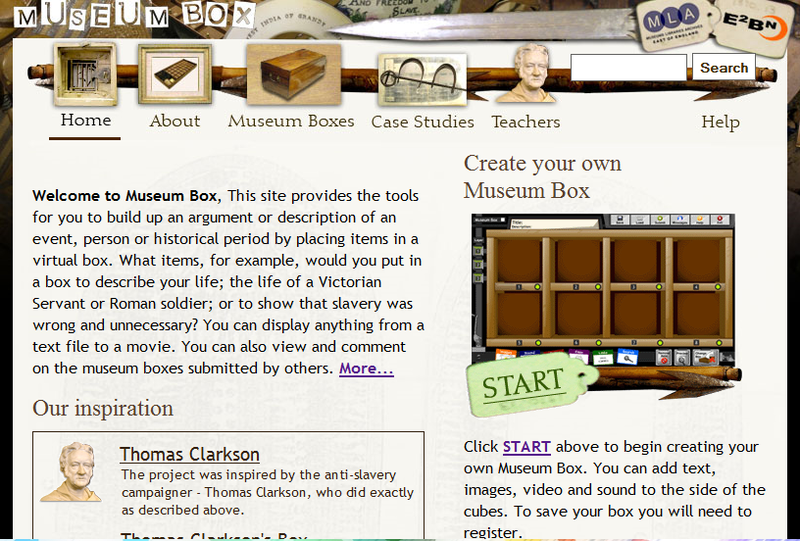 Here you can watch a short video which explains what Museum Box does. What can you create with these tools? Does this classroom look familiar to you? Would you like to be a learner in that setting? Classrooms are special places, regardless whether they are from the past or present. 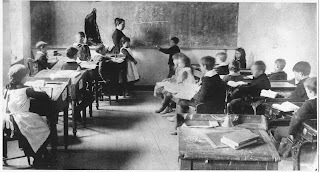 So much happens in classrooms - whether at the blackboard or at the desk in the back of the classroom. But.....how do we learn today? How do we manage information? How do we create knowledge? 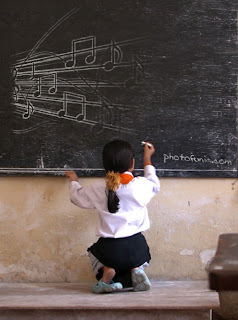 Who teaches who? Who learns from who? I teach, therefore you learn... or do you? from José Picardo on Vimeo. Where do good ideas come from? How does one put innovative ideas into practice? So why not begin unleashing your innovative ideas with Art of Illusion? 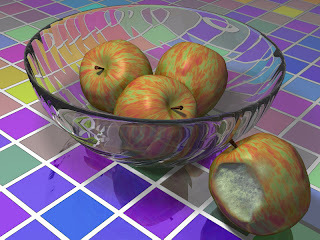 Art of Illusion is a free, open source of 3D modelling and includes tutorials should you need support to get started. Every generation contributes to paradigm shifts. Paradigm shifts are complex and often one only accepts them after they have become established, rather than when paradigms are shifting. Shifts are not necessarily comfortable either - they raise too many questions. Paradigm shifts may provoke discomfort but they also provide growth. Sir Ken Robinson focuses on some of these current shifts and how they are affecting education. What shifts do you think are urgently required in education? Just like in other areas of life, sometimes we get stuck in routines which are not easy to break free from. We keep to the path we know well, not bothering much with trying out new ways of looking at life. When using the internet, these same habits and routines take over, preventing one's insights and experiences to become richer. When was the last time you tried out a new search engine? 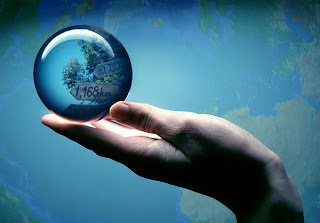 I myself cannot imagine life without Google, but there are alternatives which are fun and interesting - and which also save time when searching for information. 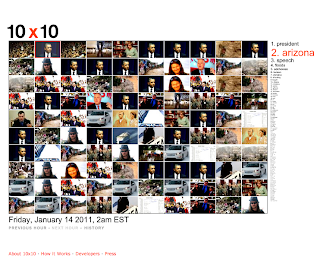 10x10 is a visual search engine which scans data from different news sources, presenting information in a different format. 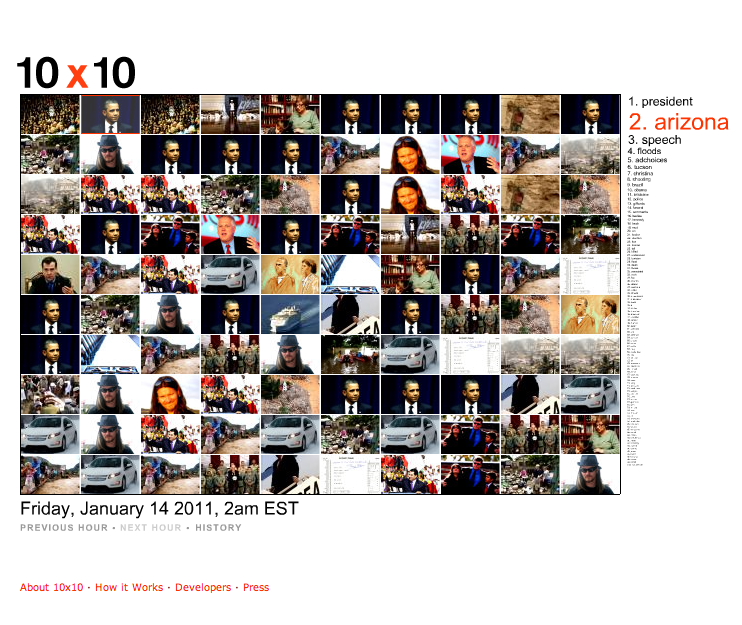 When you open 10x10, you immediately are presented with a grid of the top 100 images of that hour, ranked in order of importance, from left to right. 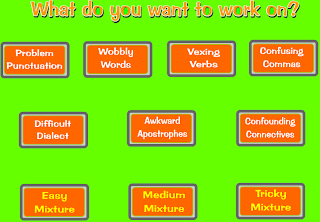 As you move your mouse around the images, you will see which words match the images. Easy. Simply click the zoomed image and then read the news headline behind the word which is linked with the image. 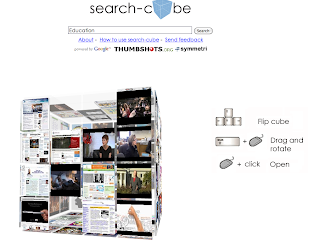 Another cool image engine is search-cube. 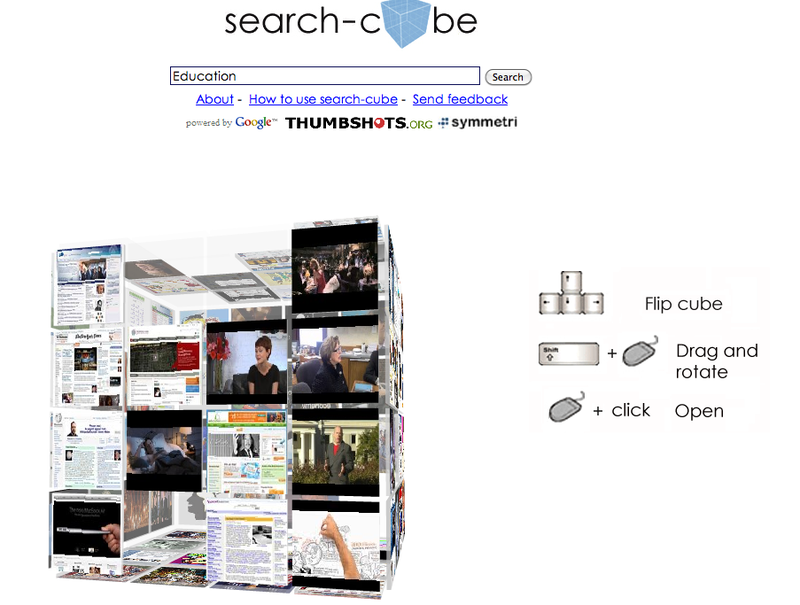 With search-cube, type in what you are looking for, and a cube with images will pop up, inviting you to select your choice. As you can see in the example, I typed education in the search box, and immediately a selection of pages appeared. If you have young brothers and sisters, there is also a great site for children to carry out searches. 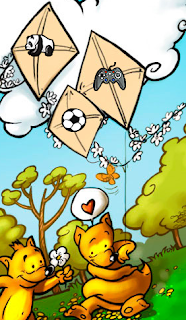 Quintura for Kids is designed to help young learners to look for information in a safe environment. What if you want something more serious? Perhaps you have time and really want to look for something more specialized, let's say, in the field of business. Pandia Search Central is the place to go. Pandia Search Central claims to be like a Swiss army knife, offering the reader plenty of choices and more search tools, according to what you are looking for. Definitely a site worth exploring when searching for data. And if you are not in the mood for data searching, why not adopt a digital pet? Personalize your choice and share your adopted pet in your social network or blog.